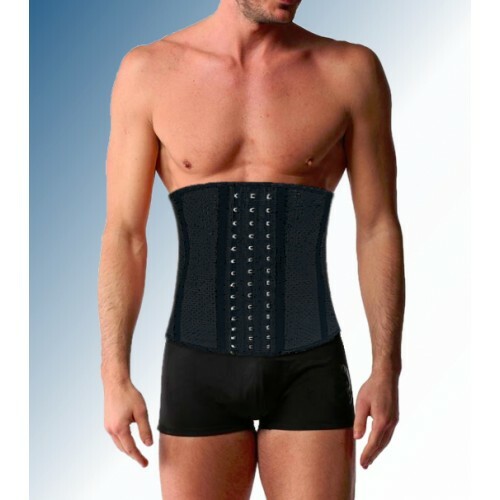 latex Waist shaper for men let you instantly look visibly slimmer and provides assist during or after weight loss. 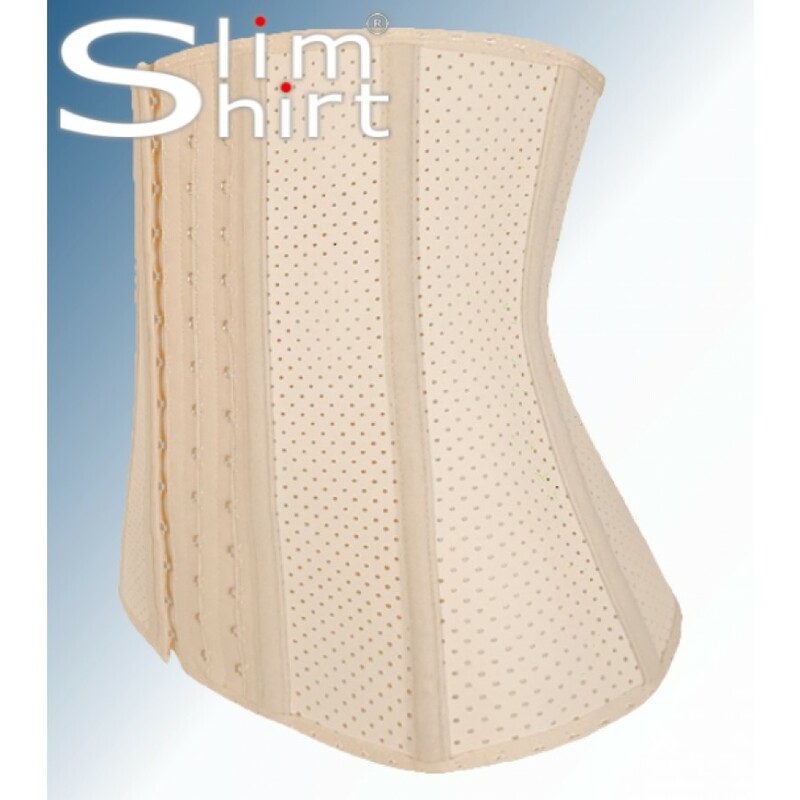 The waist trainer is perforated, these small holes ensure that the belly band is more flexible and breathable than a standard waist trainer. 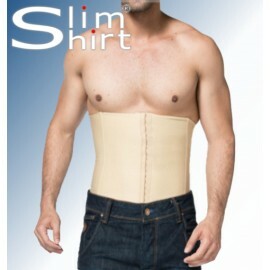 This latex Waist shaper for men let you instantly look visibly slimmer and provides assist during or after weight loss. 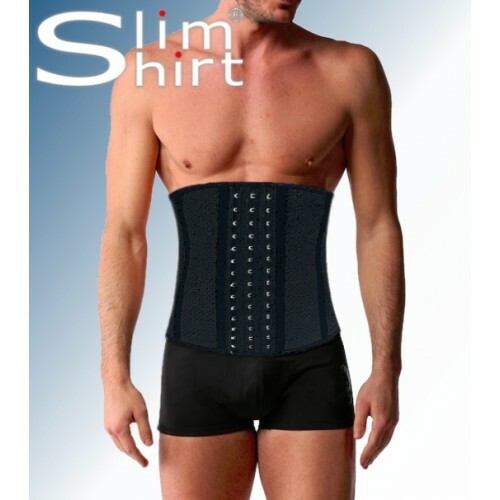 The strong compression of this corset belt ensures directly that the size of your waist and abdomen decreases. The waist shaper is perforated, these small holes ensure that the belly band is more flexible than a standard waist trainer. 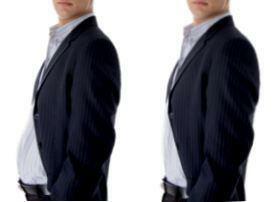 This makes this shaper band extremely wearable during sport or your daily work. 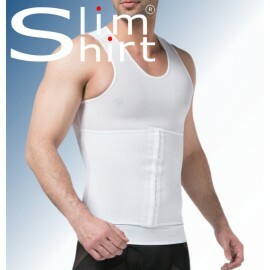 The perforation also ensures better ventilation, breathable, so that the belly band can be worn for a long time. 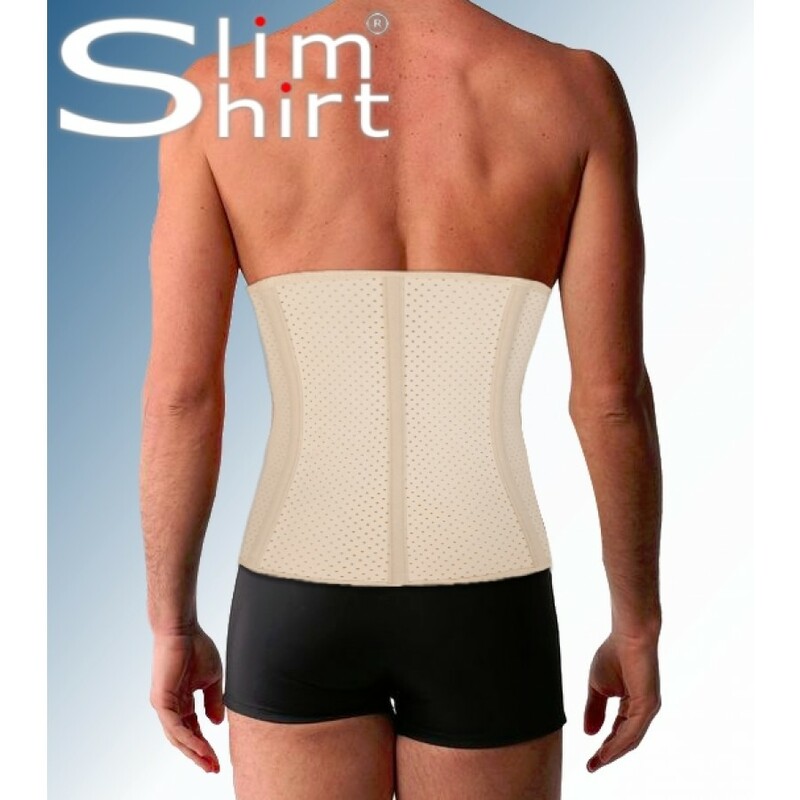 The Waist Shaper improves your posture, supports the back, corrects abdomen and waist, can be worn discreetly under your clothing and during exercise. 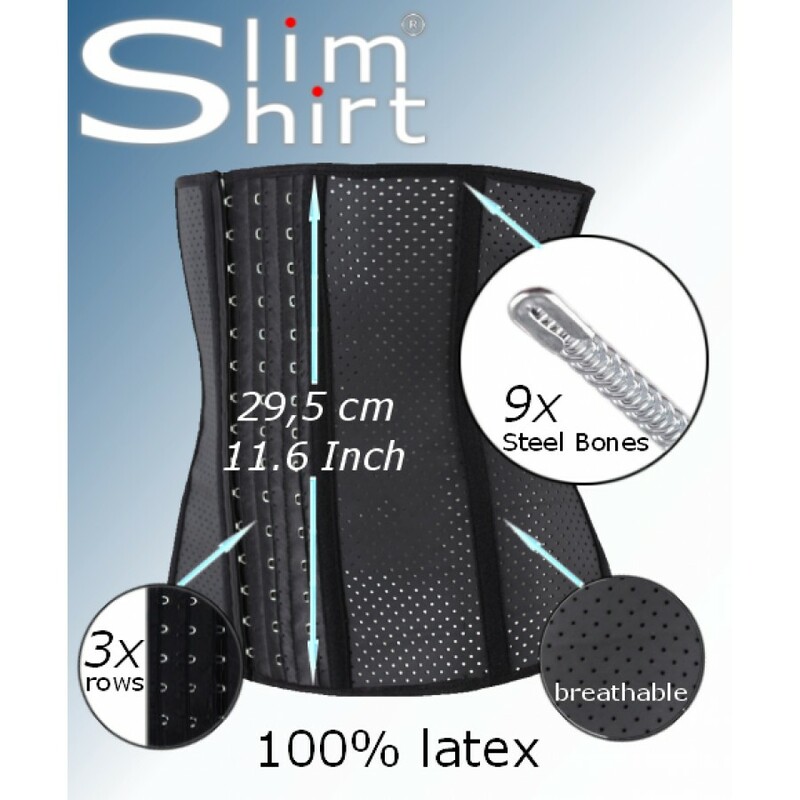 Our Waist Trainer is made of 100% Perforated latex and has a soft cotton in lining. 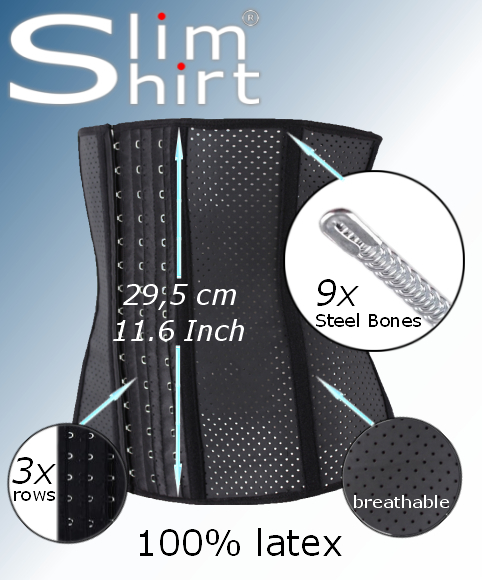 The corset has nine spiral steel boning’s and is closed with a three rows adjustable hook and eye closure. 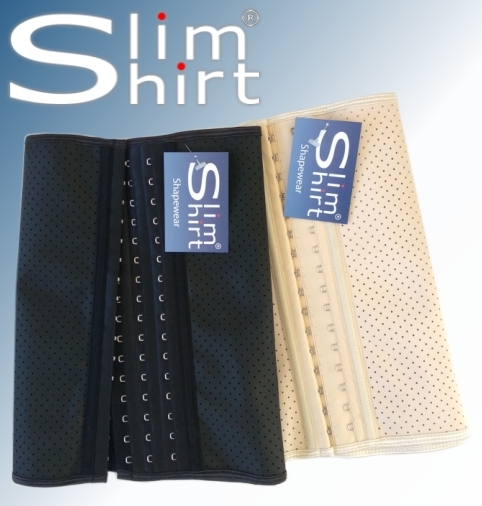 Perforated, small holes make the band more flexible and ventilating. 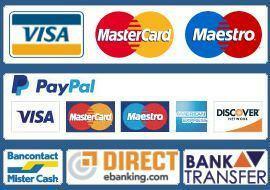 Provides assist during or after weight loss. 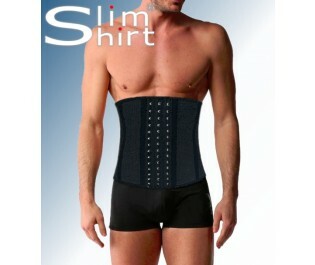 Ensures directly that the size of your waist and abdomen decreases. Nine spiral steel boning’s closed with a three rows adjustable hook and eye closure.